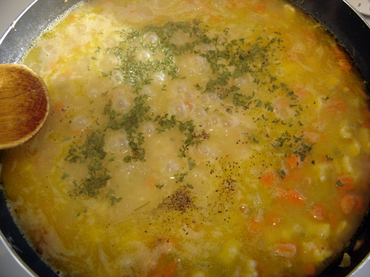 This post is going to be photo heavy so I won't say too much except, here is another family favorite recipe: Old Fashioned Chicken and Rice Soup. My kids love it and as long as they have been eating more toddler friendly meals, this has been a staple in our recipe box. It freezes well and if you are making it for the older baby/toddler, it will freeze nicely in ice cube trays for later use. Just omit the pepper if using it for young children. In a large saucepan melt margarine. 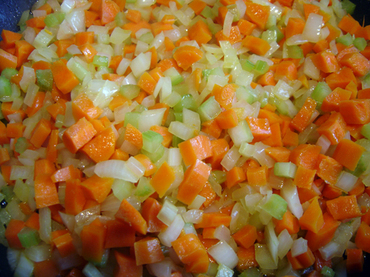 Add onion, carrot and celery, as you can tell from the photos below, we go heavy on the vegetables (usually doubling or tripling the amount required). 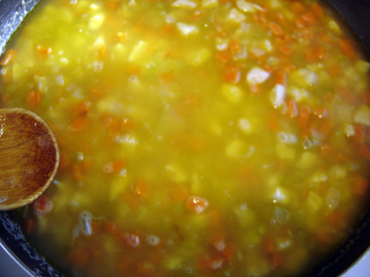 Cook gently 5 min. 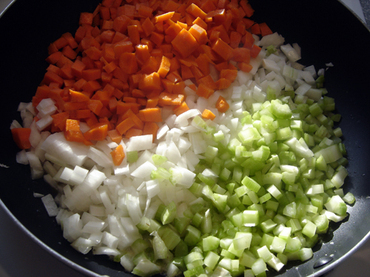 until vegetables are fragrant and tender. 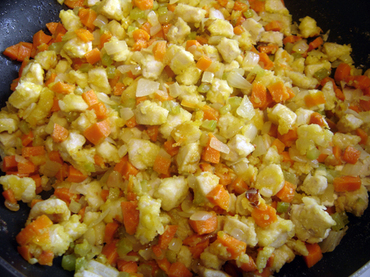 Add chicken, or if you like set your vegetables aside and then add chicken (I did the latter this time). Cook 2 to 3 min. 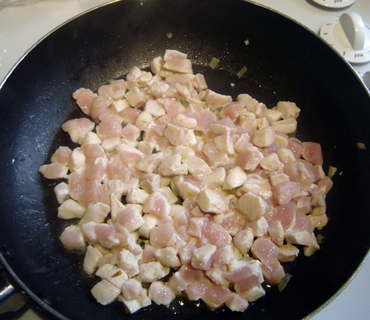 until chicken loses its raw appearance. 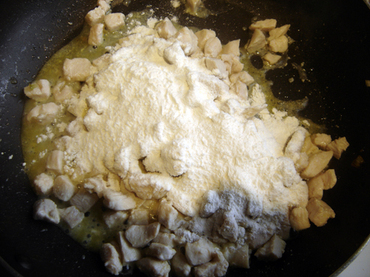 Sprinkle with flour, re-add vegetables at this point if you removed them earlier. 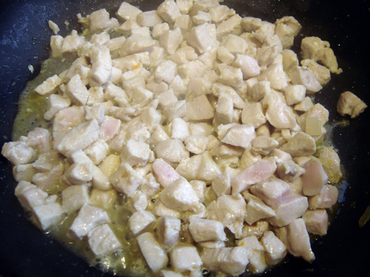 Cook 3 to 4 min., browning lightly. 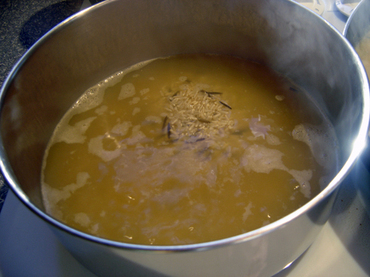 Add chicken stock, bring to a boil. Season with salt & pepper. Cook for 15 min. 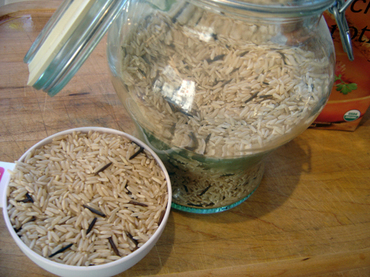 Reminder Step: Don't forget to pre-cook your rice, you will need about 20 to 35 minutes for this stage depending on which rice you use. 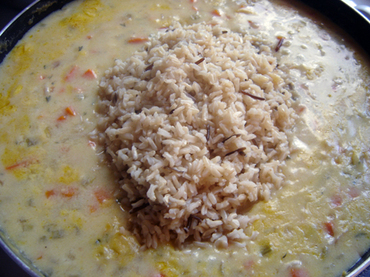 I used brown and wild rice for this recipe. It makes it a bit chewier. 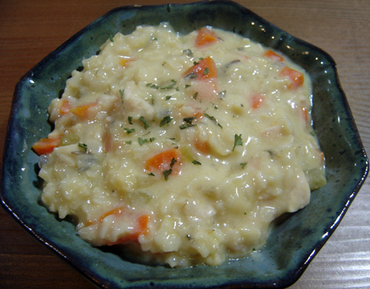 If you are making this with an older baby or toddler in mind, I would recommend using basmati rice. it). Taste and adjust seasoning, if necessary. Garnish with a bit of fresh parsley or sprinkle with a bit of dry. Enjoy.